First commissioned to commemorate the peace following World War I, and minted beginning in 1921 as result of the Pittman Act, the Peace Silver Dollar is 90% silver and 10% copper. With gorgeous, yet somewhat controversial, original art by Anthony de Francisci, the coin features Lady Liberty’s face and a bald eagle clutching an olive branch. With over 108 million of the coins struck between 1921 and 1928 at the Philadelphia mint alone, these coins were originally circulated as hard currency. The coin was retired after 1928, but another round of legislation brought them back in 1934 and 1935. Based on the “Morgan Dollar”, the beauty and purity of the Peace Silver Dollar led to hoarding by banks, which held them to back the paper that they issued. When Lyndon Johnson called for bringing the coins back in 1964-65, he was met with stiff resistance from Congress for this very reason. It is said that not one of those coins from the mid-1960s remains in existence, as all 300,000 that had been struck were melted down right before they were to be issued. Today, it is rumored that some of the 1965 coins do exist, and could be worth over a million dollars each for a collector. However, you are much more likely to encounter brilliant copies with 1922 issuance dates. 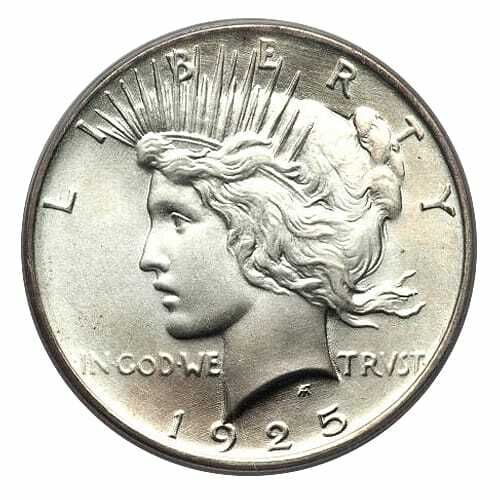 Beyond the melt value of the coin, the 1922 Peace Silver Dollar has accrued value as the last silver dollar to circulate as money, the last piece of U.S. coinage created specifically to fund a war and perhaps one of the greatest numismatic mysteries of our time. 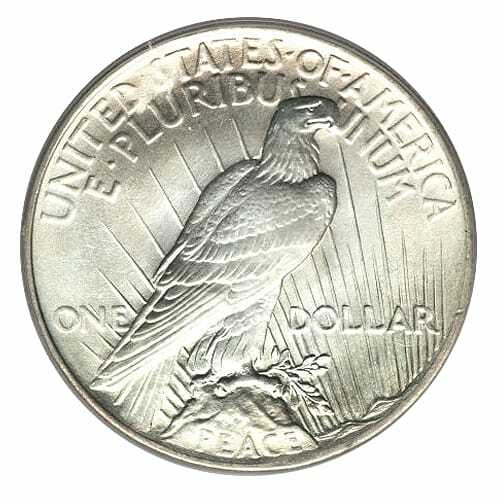 To learn more about the Peace Silver Dollar coins and to get current pricing, please call us at (800)355-2116.